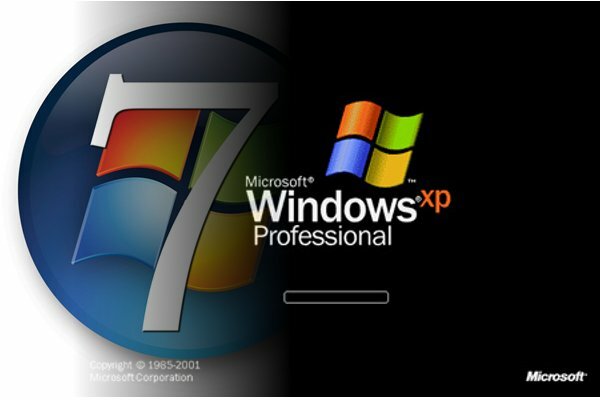 With the advent of Windows 7, many users are faced with the problem of compatibility of certain programs with this operating system. There is a category of programs that only run on Windows XP. This situation led to the necessity of installing multiple operating systems on a single computer. Solutions to this problem quite a lot. There are quite simple, requiring no knowledge of computer technology, and there are those which require working not only with hardware but also with software. Just want to note that the priority is to install first Windows XP and then Windows 7. You can make and Vice versa, but this method is more time-consuming. So, you have installed on your computer the Windows XP operating system. Before installing you should immediately divide your hard disk into at least three of the local section. Their size should be: 10 GB, 30 GB and rest is free space". On the first partition install Windows XP. This system does not need a lot of disk space. Install Windows 7 on second partition (30 GB). This is required because the installation of operating systems in one partition can lead to instability in the work of both. Run the Windows 7 operating system. Open the properties of "My computer", go to the tab "additional parameters of system". Find the line "startup and recovery" select "settings". In the opened window, select the checkbox next to "display list of operating systems". Now when you turn on the computer, you will have the choice of loading the operating system.